Score Gold With the B 770 QE Anniversary Edition! 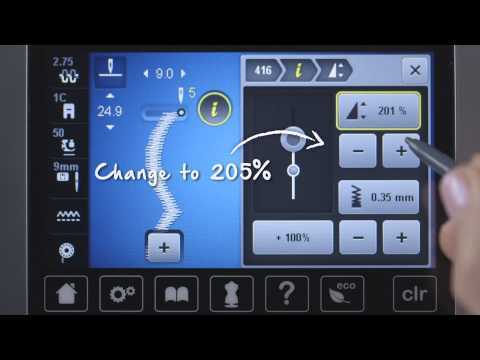 BERNINA 770 QE Anniversary Edition: Quilters, join the gold rush! Enjoy a 10-inch extended freearm including ten inches of space to the right of the needle. Plus: The optional extra-large embroidery module lets you stitch out maxi-sized motifs. 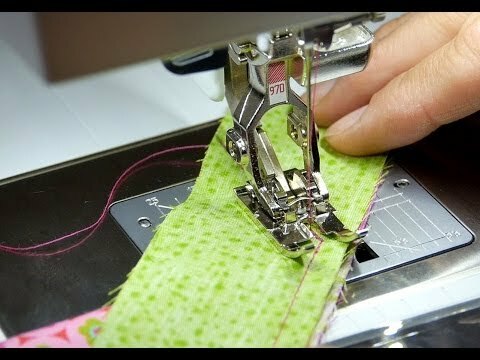 Whether altering stitch length, stitch width or needle position, the machine will remember the stitch details for you. Total Stitch Control makes it happen. The BSR foot is the revolutionary presser foot for effortlessly ensuring consistent stitch length in free-motion sewing of straight or zigzag stitches. Once the tension is set according to the thread and fabric used, BERNINA Adaptive Thread Tension will constantly check the thread tension, adjusting it automatically when needed. The Patchwork foot #97D with movable guide rail is the special accessory for the most accurate feeding and stitching when piecing patchwork blocks. *BERNINA (B) 770 Quilter’s Edition (QE) Anniversary Edition (AE) Gift With Purchase (GWP) available to retail purchaser of a new B 770 QE AE sewing machine. B 770 QE AE GWP includes each of the following: One(1) BERNINA 125th Anniversary X-Large Machine Suitcase, MSRP $399; One (1) BERNINA 125th Anniversary Accessory Bag, MSRP $149; One (1) Golden Adjustable Ruler Foot #72 in Commemorative Tin, MSRP $199;One (1) Exclusive Golden Scissor Set with Rotary Cutter, MSRP $299; One (1) 125th Anniversary Quilt Kit featuring Amanda Murphy’s Jubilee Fabric Collection, MSRP $139; One (1) 125th Anniversary Rulerwork Ruler Set (set of 3 rulers), MSRP $75; and One (1) Instant Savings Voucher towards a future purchase of an embroidery module with suitcase worth up to $1,049 (Coupon expires March 31, 2019). Offer cannot be transferred or redeemed for cash. Total B 770 QE AE GWP value: $2,309. Offer may not be combined with any other BERNINA promotional offers, rebates, coupons or discounts. Cannot be replaced with any other offer. Not valid on previous purchases. Taxes are not included in the total purchase calculation. Offer available at participating BERNINA Stores only. Subject to availability. Available while supplies last. Some exclusions may apply. Offer expires January 31, 2019. 50 US/DC, 18+. Void where prohibited by law. **This BERNINA ruler foot is coated with 24-carat gold. Gold is a soft precious metal, and therefore signs of abrasion can and likely will occur in the ordinary use of this product. The functionality of this product will not be affected by these abrasions. BERNINA MAKES NO REPRESENTATIONS OR WARRANTIES WHATSOEVER WITH RESPECT TO THE OVERALL APPEARANCE OF THE PRESSER FOOT, AND DISCLAIMS ANY LIABILITY RELATED THERETO, INCLUDING WITHOUT LIMITATION FOR SIGNS OF ABRASIONS AND ORDINARY WEAR AND TEAR.